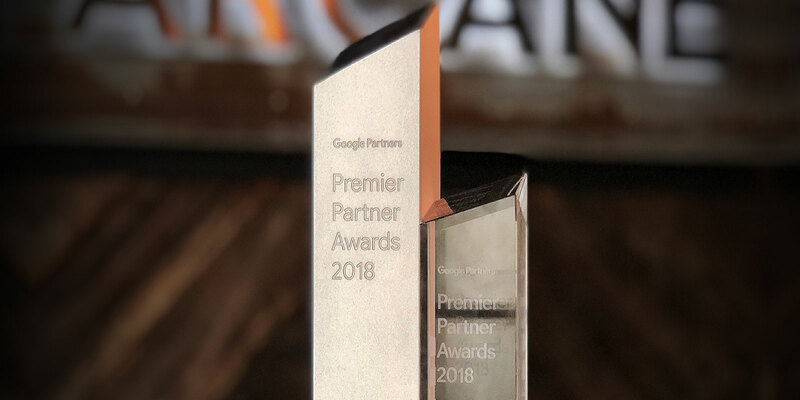 October 31, 2018 – LONDON, ONTARIO – Arcane was announced as the winner of the Search Innovation Award at the 2018 Google Premier Partner Awards held in New York City. The ceremony, which was held at The Press Lounge, recognizes digital marketing excellence in the Americas. This achievement also marks the first time a Canadian agency has won a Premier Partner Award from Google. Finalists in the category were nominated based on their expertise and innovation with Google’s search advertisements. Arcane won specifically for their work with Ivey Business School, a global leader in business education with campuses in London, Toronto, and Hong Kong. Over the past year and a half, the organizations have worked together to refine their digital marketing footprint and drive significant growth for their programs. The Ivey Business School at Western University is Canada’s leading provider of relevant, innovative and comprehensive business education. Drawing on extensive research and business experience, Ivey faculty provides the best classroom experience, equipping graduates with the skills and capabilities they need to tackle the leadership challenges in today’s complex business world. Ivey offers world-renowned undergraduate and graduate degree programs, as well as Executive Education at campuses in London (Ontario), Toronto and Hong Kong.